Hey! Bullsh*t digital clothing! Neat! 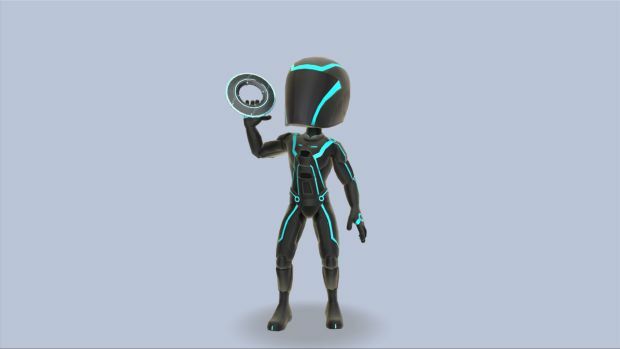 Yes, starting tomorrow you'll be able to dress up your Xbox 360 Avatar like Tron characters. The Avatar items will include the Anon gridsuit and helmet, Quorra's gridsuit, TRON's gridsuit, Abraxas, Gibson's gridsuit and you'll also get themed props such as mini-lightcycles, light tanks, discs and other assorted crap. No price was mentioned in the e-mail, but whatever it is, it's not worth it. I mean, the designs are cool. But again, why spend money on clothes for digital characters when you can just buy an Indie game on the Indie Channel. Or a burrito ... man I'm hungry.